It would probably be impossible to find someone claiming they like techno who has not heard of Ali Shirazinia aka Dubfire, much less listened to his productions. Originally a member of the DJ duo Deep Dish from the early 90’s until 2006, Dubfire broke away from progressive house and started making minimal techno on his own. Since then he launched his own label Science + Technology Digital Audio which is host to a long roster of globally recognized DJs. 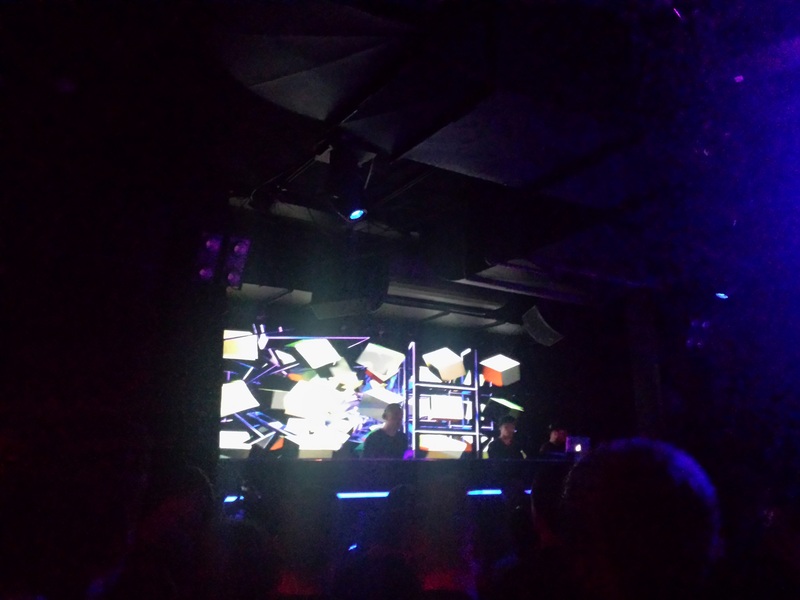 Last Friday I took my second road trip to New York in a month to catch an extended set by the SCI+TEC boss at Space Ibiza New York. 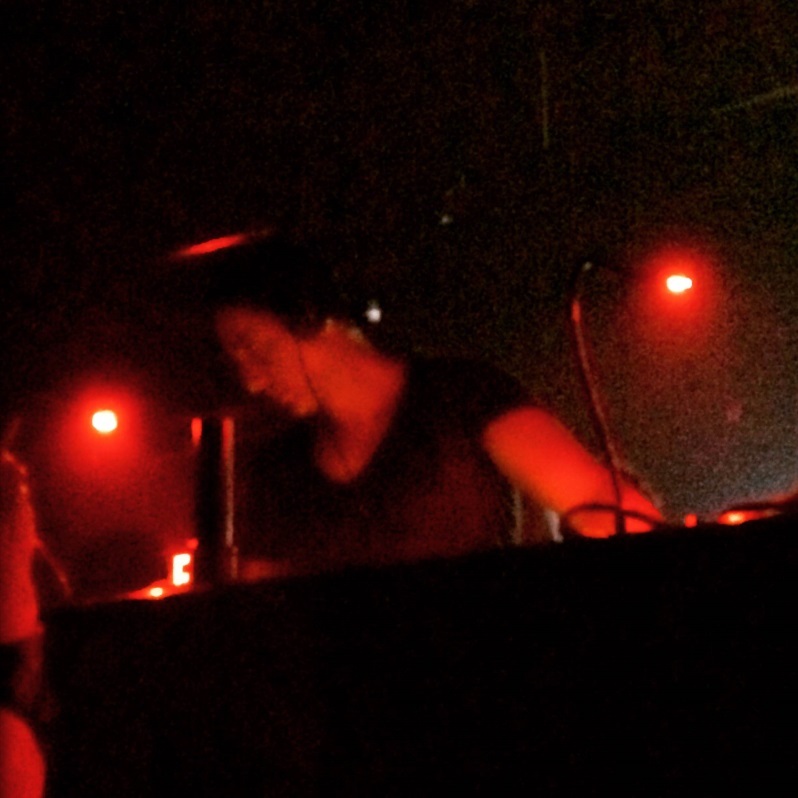 Dubfire was one of the first artists I was introduced to when I started getting into techno. Last time he played in Boston a friend of mine threatened me with physical violence when I informed him that I had already purchased a ticket to another show that was occurring on the same day. To be fair, I was still very new to the genre, but I haven’t made the same mistake again. Now I count Dubfire among my top 5 favorite DJs. He was preceded by The Junkies who were followed by Shaded on the decks for a rave that lasted from 11 p.m. until 8 a.m. 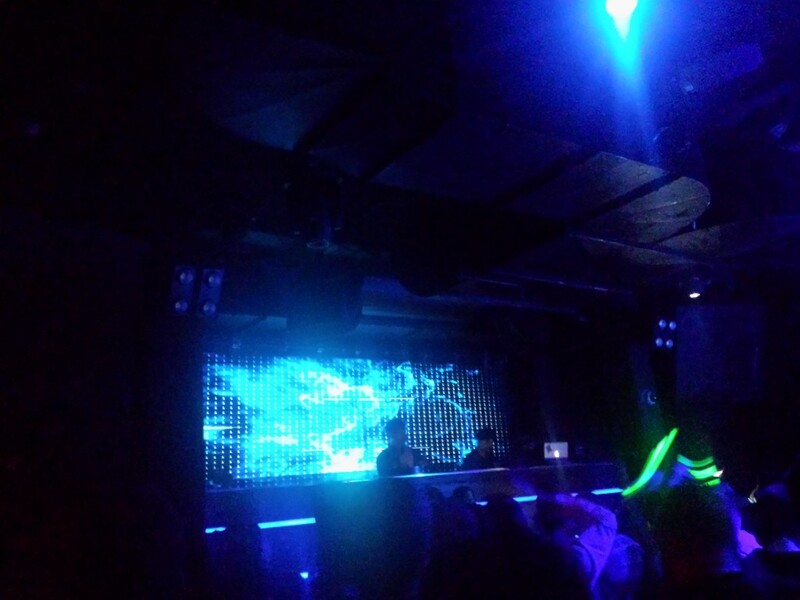 I went to Output about a month ago and was blown away by the sound system, but I think Space was even better. 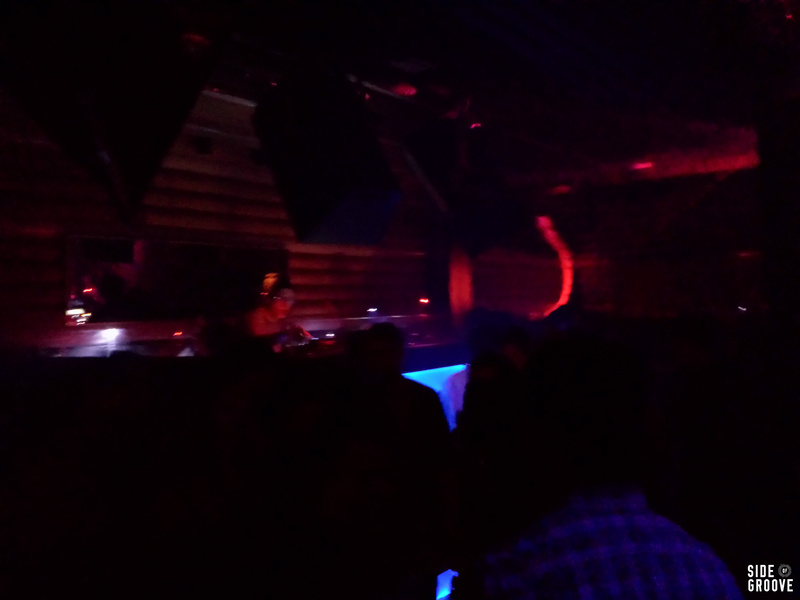 It was a bigger dance floor and the place was totally decked out with stacks of FunktionOne speakers. At times the bass was so intense it felt like my chest might explode (I mean that in a good way). For the majority of the Junkies set I hung out at the back and warmed up to the music. They were good, but, having them take the opening set was appropriate. Shaded was on another level. I almost hate to say it but I enjoyed his set more than Dubfire. He has a very unique, funky sound that had me right in front of the DJ booth for two hours without giving any consideration to taking a breather. To get a sense of his sound it’s worth checking out the second hour of the last episode of the SCI+TEC radio show from December last year. There is also a good interview with him at the end. Shaded was well received by the crowd and did a great job maintaining the vibe in lieu of Dubfire who went on at around 3:30 AM. I think it’s safe to say you can know what to expect when you see Dubfire spin, with the exception of his recent experimentation with 2D and 3D visual animation in conjunction with live audio. I’ve yet to see the dubfire:live HYBRID show but it looks amazing. His sound is unmistakable and he is a master at building tension. For the remainder of my time there I was absorbed by the “jet-black, polished chrome techno” that Dubfire is known for. I didn’t do a good job of conserving my energy throughout the day leading up to the show so I didn’t last more than a couple hours after Dubfire went on, but I will be seeing him again on March 4th for a B2B with Joseph Capriati at Bijou in Boston. The summer festival season is in full swing, which means artists are on the road, finally sharing some of the studio bombs that have been trickling out in the first half of the year. 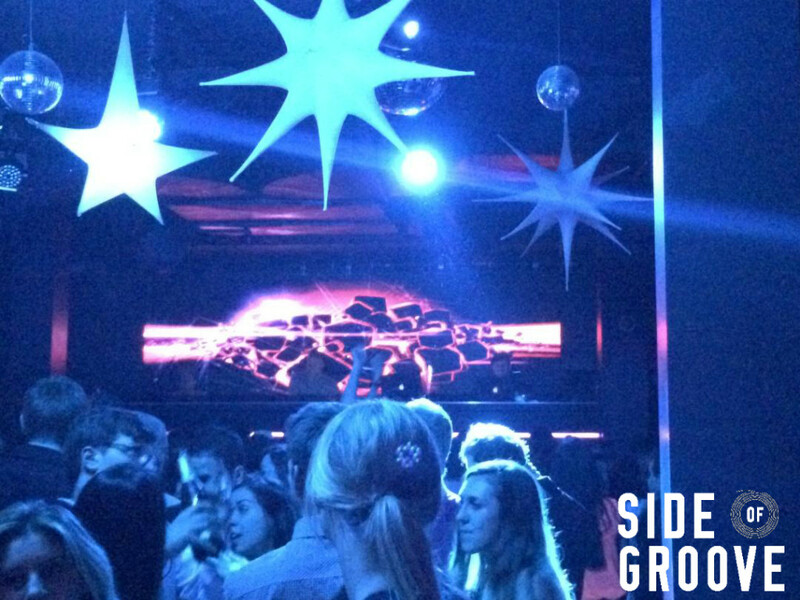 For those of us in Boston, Friday nights at Bijou provide an intimate experience, matching some of the best after parties found while artists are on the road. So when we heard Green Velvet would be making a stop before heading on to Spring Awakening in his home town of Chicago, we had to be there. Known professionally as Green Velvet, Curtis Jones has been producing electronic music for over 20 years, and is one of the most well respected in the business. His unique style of music reminds us what tech house is all about, and his Chicago and Detroit roots clearly permeate throughout his sets. Under his Cajmere moniker, Curtis has also explored the depths of pure house music. From reading his interviews, it’s clear to us that the Green Velvet experience is all about transporting the crowd to a land of euphoria, solely with the help of his curated music. Alongside championing releases across his labels Cajual and Relief, Green Velvet most recently saw success with his 2013 full length album ‘Unshakable,’ which saw his single ‘Bigger Than Prince’ become one of the hottest tracks of the year. Taking the decks in the warmup slot, Bijou’s usual Friday night resident, Tamer Malki welcomed the crowd in preparation for Green Velvet. Tamer is himself a talented producer, releasing tracks on Supernature as part of the duo Bedouin, and featuring prominently on this year’s edition of Soul Clap’s ‘Dancing On The Charles Volume 2’ with ‘Down The Blue.’ We were particularly impressed with Bedouin’s opening set for Lee Burridge a few weeks ago, and are always thankful to Bijou for selecting such an impressive resident. Before we knew it, Green Velvet appeared behind the decks, with his signature green mohawk and black sunglasses. Shortly into his set, we heard the faint synths of the Maceo Plex edit of Gusgus ‘Crossfade’ and were beyond excited. We have been waiting to hear this one played out since it was released back in April. Its vocals, melody, and atmospherics all combine to make an excellent track early on in a set. 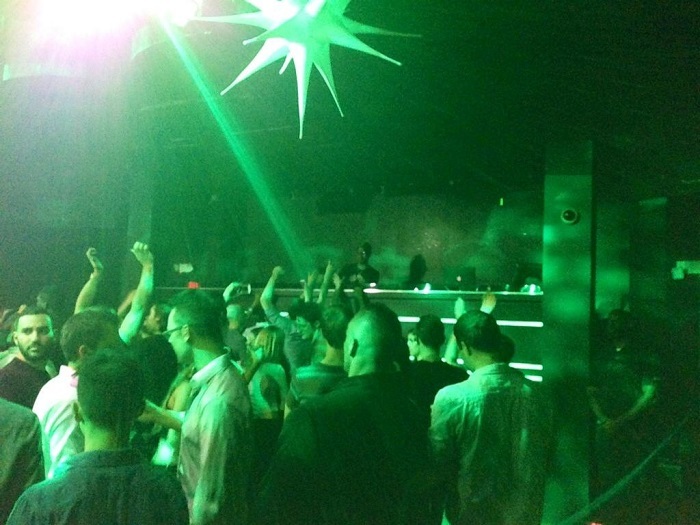 Throughout the night, Green Velvet spun many of his most well-known tracks, interlacing them between lesser known artists and label favorites. ‘Lazer Beams,’ ‘Percolator,’ and of course the Hot Since 82 remix of ‘Bigger Than Prince’ were all well received. But really the crowd went truly wild when Green Velvet performed live vocals over ‘Flash.’ This one sounded so good live. Ending the night with the vocal heavy classic ‘La La Land’ finished the set on a high note. Above all else, it’s clear to our market research manager and I that Curtis Jones is one of the most thoughtful and engaging DJs out there. He took us on a journey that even now seems surreal, laced with both comedy as he danced along with the crowd and immense seriousness as he took us through highs and lows of an eye opening acid-like trip. No one else can do all this all while sipping on champagne from a flute with a smile constantly on his face. We’ll be saying #TechYes for many weeks to come! As always, many thanks to our friends at Bijou for a wonderful night. 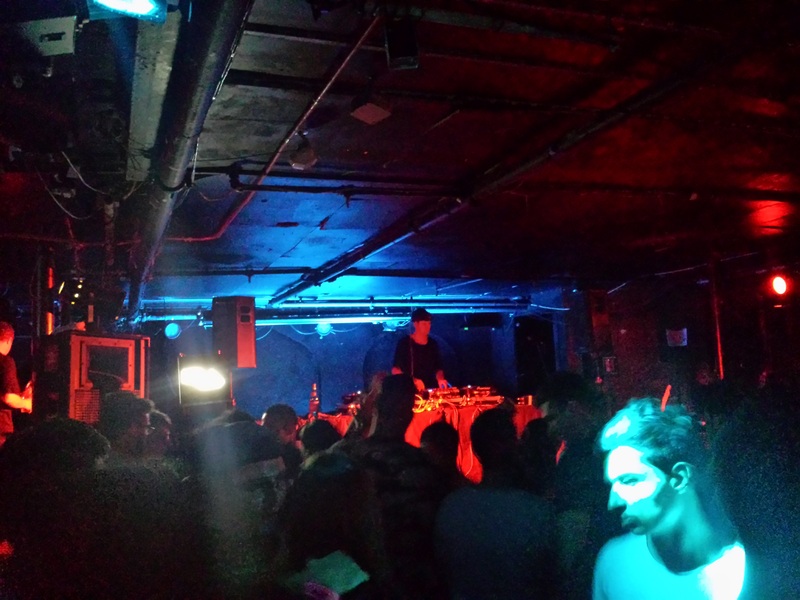 On a breezy Friday night, as the first signs of spring descended upon Boston, our events editor and I made our way to see Lee Burridge at Bijou. 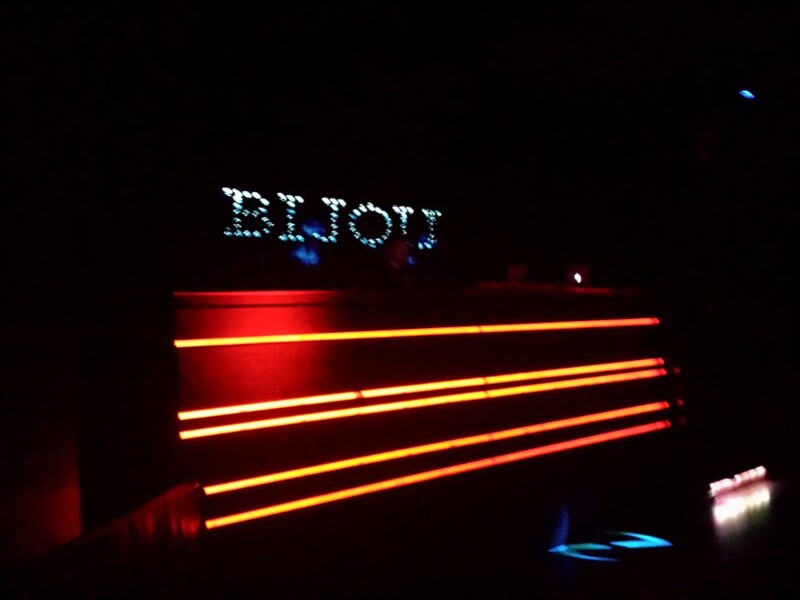 Bijou is our favorite club in the city, as its staff are always very friendly and the venue itself is just right for many of the underground acts that roll through this city. The lack of over the top production values means that the night is always just about one thing – the pure, emotional, enthralling music. Ever since we heard Lee Burridge’s 2012 Lighting in a Bottle set, we’ve been big fans and knew we had to go when Bijou booked him for a Friday night. Our editor and I placed ourselves right next to the VIP tables, and began to take in the scene. NYC based Bedouin, consisting of Bijou resident Tamer Malki and fellow DJ Rami Deejay, were slotted to warmup for Lee Burridge. We’ve seen Tamer before at Bijou, but the collaborative effort of Bedouin was something else. 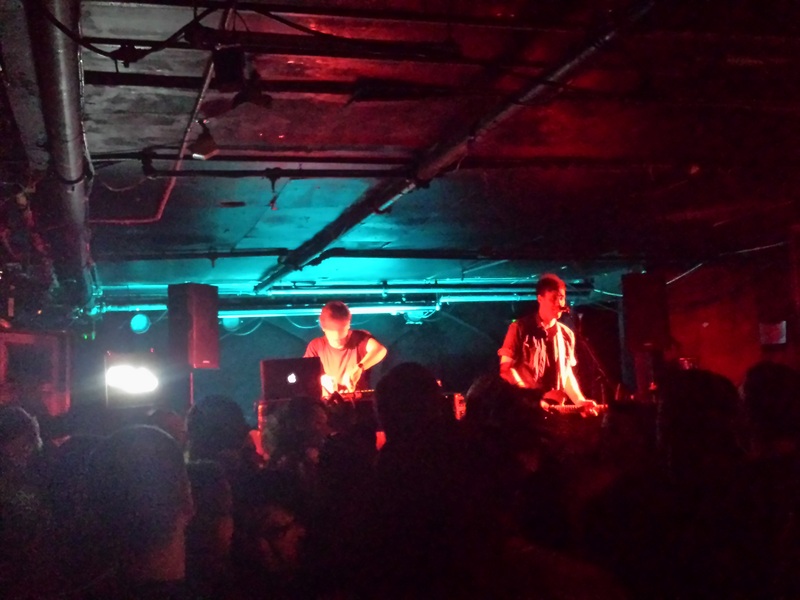 The duo spun a proper warmup set, and dropped some fantastic tracks that we’ve never heard before. Each track flowed so smoothly with the next, and we truly felt like we were in a cafe in Lebanon, looking out into the Mediterranean sea. 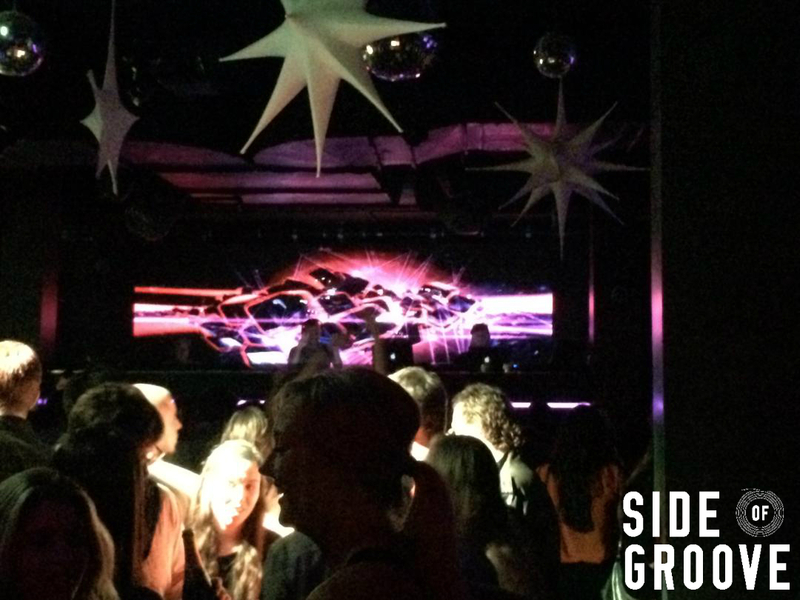 Before we knew it, were were standing up, and really feeling the vibes as Lee Burridge stepped behind the decks. For those of you unfamiliar with Lee Burridge, he’s been around for over 25 years and runs his own label All Day I Dream. Some of his most popular releases include ‘Lost In A Moment’ and ‘Fur Die Liebe,’ while his label has championed the likes of Maher Daniel, Luca Bacchetti, and Gab Rhome over the years. We were too entranced in the music to pay much attention to IDs, but were pleasantly surprised to recognize Paolo Rocco ‘Move Body, Move Forward,’ which recently received an update package of remixes on Defected Records. Eyes closed and ears open, heads down and no-nonsense to be had as Lee Burridge continued with perfectly picked track after track. Lee always shares a special blend of music, something that seems to cross many genres and yet is genre-less, all at the same time. Later in the set he dropped the Shonky remix of El Prevost ft. D Ham ‘Allez Ally,’ which really drove the dancefloor nuts. Lee Burridge finished his set just after 2 am, and as the lights started to turn on, we could tell that everyone was aching for more. As we reluctantly shuffled out of the club and into the cold air outside, we knew that this was a night we would not soon forget. Many thanks to our friends at Bijou for continuing to bring such fine talent to the Boston area. Be sure to check out their site for all upcoming events. See you on the dance floor! Check out other great music from Lee Burridge and Bedouin via their social media pages.